Over the last decades, we had a very fine line between shooting still photos and recording videos. Today, however, that line has come to a total blur. Cameras already have the capability to take photos and record videos at the same time. Can digital cameras record video? Unlike the cameras of the past, the ones that we have today are built with advanced components that work together to capture high-quality images and videos. Let’s briefly discuss the features that contribute to capturing sharp videos as well as teach you how to adjust the settings to maximize the camera’s full potential. 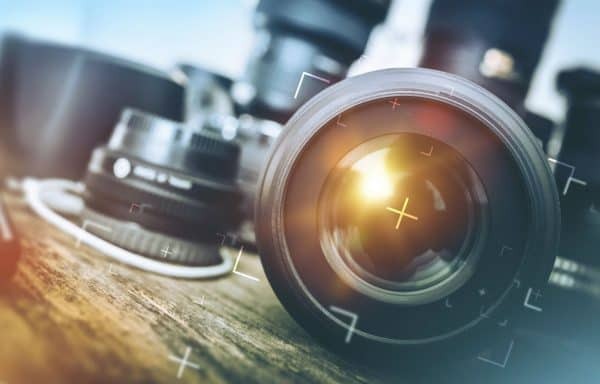 With the advancement in camera technology that we are experiencing today, it is not surprising that in the world of digital photography, cameras can also record quality video. Camcorders and still cameras work on almost the same technology and with similar objectives and purposes. They are made of components and aspects that are designed for taking still photos and moving images. A DSLR is known to be more powerful and sophisticated in shooting objects with much details and sharpness. They can make objects appear closer with excellent image quality. They also have video capabilities (depending on the camera model and features). Let us take a look at some of these features. Taking videos using cameras with large sensors can be difficult. Compared to point-and-shooters, cameras with sensors that 1-inch or larger are more sensitive because of their size, focus mechanism, and zooming capability. However, there are also many benefits that large sensor digital cameras offer. The major advantage is the high resolution and more pixels. A camera sensor that is 40 percent larger means that it has 40 percent more pixels. With higher resolution, you can capture more details even when you zoom in on the object you try to capture. Some devices are equipped with a built-in microphone. This feature is a must for people who are into filmmaking. Needless to say, the latest digital cameras are built with better microphones than the older models. Although it is not easy to capture a good sound from the object you are trying to shoot, there are techniques that you can apply to get the best quality. One major drawback of the integrated microphone is it can also pick up the noise of lens movement, such as zooming in or out and processes inside the camera. The best way to capture videos without unwanted noise is to limit camera movement and the pressing of buttons. The zoom capability allows you to record video at the closest angle without having to move closer to the object. You may want a DSLR with a large zoom lens, but it can be difficult to hold still to record sharp, stabilized videos. Fixed-lens cameras have the best zooming capability. They have a steady zooming mechanism that can be controlled smoothly with just one press of a button. It is also best for beginners. Whereas, interchangeable lenses are more challenging. They require exquisite control to achieve excellent video quality. Camera lenses with optical image stabilization are built with internal components that change in directions opposite to small movements. This capability makes the image steady when it reaches the sensor. You know that mirrorless and DSLRs can save photos and videos on a memory card. The memory cards have a capacity that ranges from 32GB (gigabyte) to 128GB. Now, depending on the storage capacity, cameras can hold some video recordings too. Taking still photos using a mirrorless or DSLR is not the same as capturing videos. Nevertheless, the processes and components that take place are quite the same. The white balance determines the light condition of the object you are capturing. When recording a video, the camera will automatically balance the white color, which results in a color shift while recording. Unfortunately, it is not an ideal factor. To prevent it from happening, set the white balance according to the lighting of the object you try to record. Are you photographing outdoors, is it shady, is it indoors, maybe it’s cloudy? And so forth. Make sure that the camera you are using has an image stabilization feature. Turn it on before capturing a video, and it will reduce little shakes and bumps on your video. Point-and-shoot cameras have built-in autofocus for videos. When it comes to digital cameras, manufacturers are now incorporating autofocus mode for capturing videos. Make sure that it is turned on during recording to make sure that the moving images are sharp and clear. Generally, the aspects of a digital camera, including the aperture, ISO, and shutter speed, work similarly when capturing photos and videos. However, when it comes to capturing moving images, shutter speed is limited, which reduces motion. In order to adjust the shutter speed, set it to an amount that is twice the frame rate. For instance, a frame rate of 1/48 or 1/50 suits best with 24p video. A shutter speed of about 1/2000 is good when shooting during bright days. Then again, it would probably make the video look like Scott’s Gladiator movie. Although the same aspects and components work when taking photos and videos, the techniques that are used in capturing images and recording videos are different. When recording videos using a digital camera, you need to take into consideration many settings. Among these include the lighting situation, the motion of the objects, and the features of the camera. In order to capture quality videos, you would need to adjust the camera settings according to the objects that you are trying to record.